Snail and Turtle are friends. They like some of the same things; like walking, running, hiding and painting together. But, they are also quite different. Snail likes to eat leaves, but turtle enjoys eating flowers. Snail likes to climb and slide, whereas turtle loves to dive and swim. But when you’re as good friends as snail and turtle are, these differences don’t matter at all. 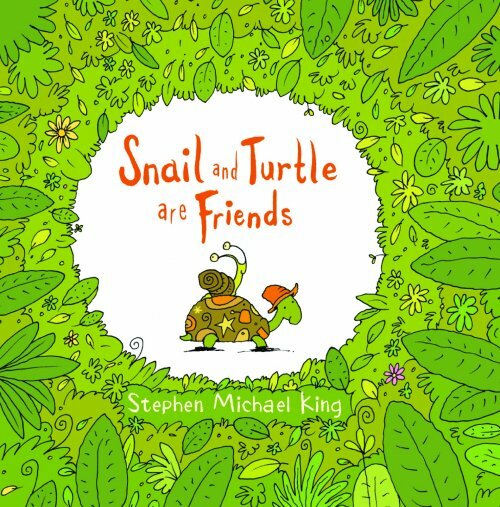 The charming message in Snail and Turtle are Friends is easily understood by its very young target audience. The story uses age-appropriate language to model a variety of nouns, verbs and concepts. The repetitive text makes it a great choice for children working on their speech sounds; particularly /l/, /t/ and /s/ blends.